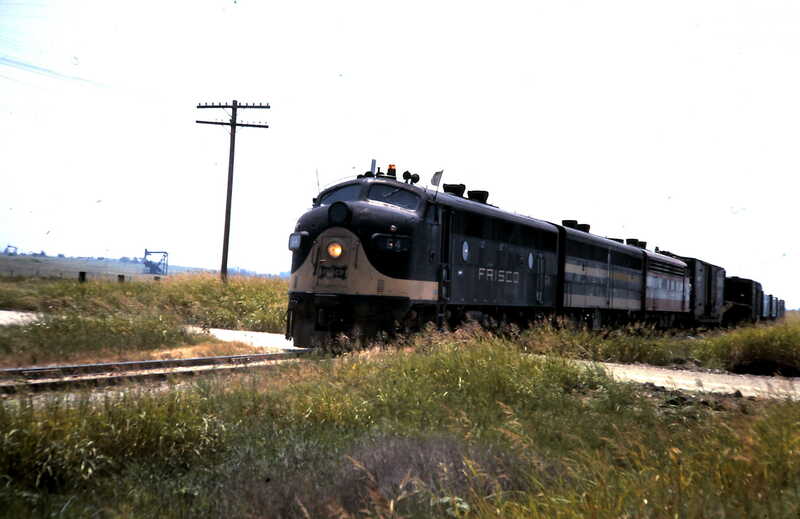 F3A 5012 at Van Buren, Arkansas on June 3, 1964 (Mike Condren). F3A 64 (ex-5012) (date and location unknown). F3A 5012 (date and location unknown). 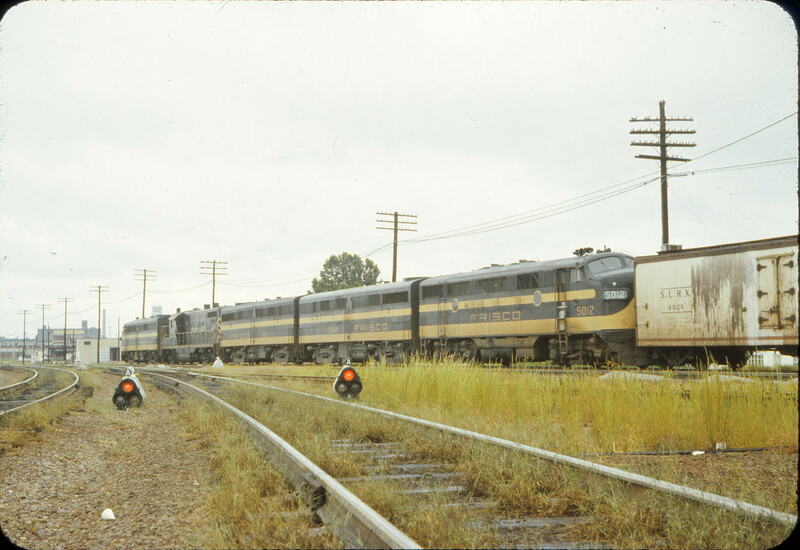 The other units in the image are unidentified, as well as the location. The Frisco Archive is sure our members can help us with more information regarding this photograph. F3A 64 (ex-5012) at Sapulpa, Oklahoma (date unknown). 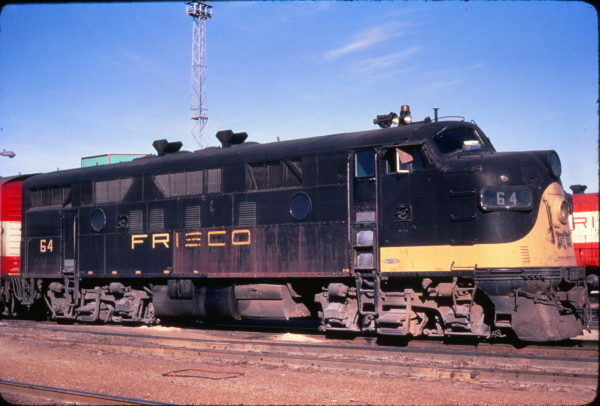 The train is just now entering the Frisco’s Creek Subdivision. 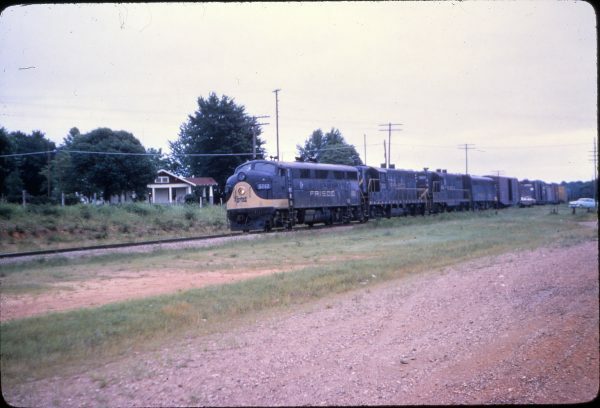 Creek Subdivision trains used the Oklahoma Subdivision between Cherokee Yard and Sapulpa. Just south of Dewey Street is the south turnout of the wye at Sapulpa. The east and west turnouts are connections with the Oklahoma Subdivision. This photograph was taken just south of the grade crossing with East Hobson Avenue and the view is looking southwest. Immediately to the east (left) are the offices and locomotive shop of the Tulsa–Sapulpa Union Railway (TSU). These are located at 701 E Dewey Street. 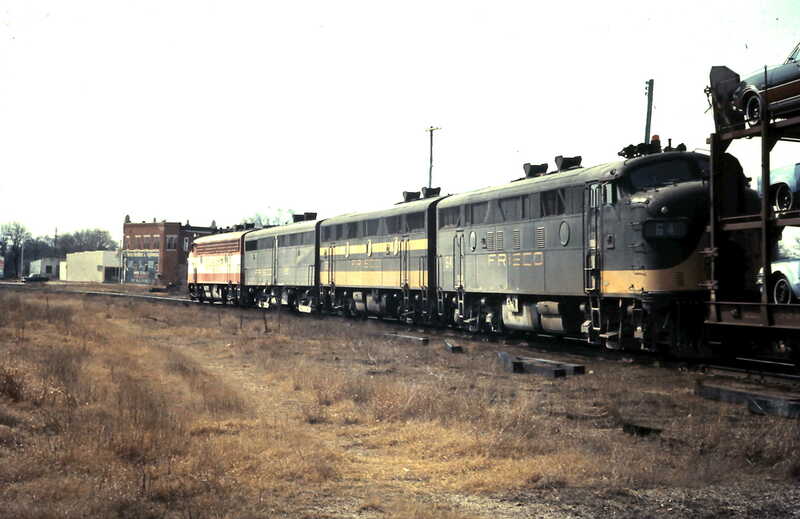 F3A 64 (ex-5012) at Springfield, Missouri in February 1971 (Golden Spike Productions).